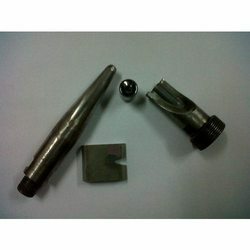 With rich industry experience in this domain, we are providing supreme quality Carbide Nozzles. Keeping in mind the set industrial norms, these are designed by our skilled professionals using high grade raw material and modern methodology to fabricate these products. Owing to their salient features, such as high load bearing capacity, excellent performance, longer service life and resistance to corrosion, these are highly used in welding electrode industry. We make Threaded Nozzles used in the cutting of wire cutting and straightening machines. In the manufacture we are using latest technology to ensure long lasting life and high durability. Material: Steel outer with carbide insert. 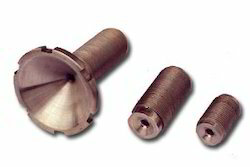 Looking for Carbide Nozzles ?